These plates are clearly the superior choice for quality and precision. Machined to exacting tolerances from 4340 round bar, our proprietary manufacturing process ensures the strongest gear tooth, least runout, and the best longevity on the market. 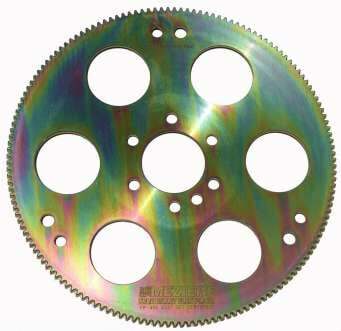 All of our flexplates are certified to SFI 29.1.